Gloss black, like new, never used. These parts came off a gun I snagged from CCI recently (I swapped to an ASP Roundhead). Barrel is not freak-bored. $50 shipped. WTB Smart Parts Ion parts. Paintball equipment forsale $400 firm..
Tippmann tactical paintball vest preowned in great shape. TEXT FOR FASTEST RESPONSE. NO EMAIL. Buying vintage paintball markers, parts and accessories, working or not working. 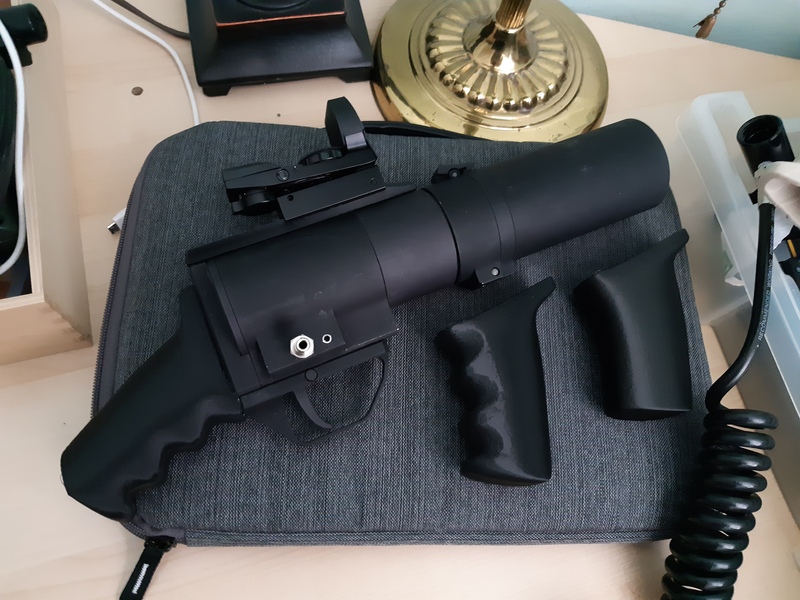 Specializing in autocockers and automags but will consider/look at many other vintage paintball items.